The magic of carnival gives Venice an enchanted feeling. Everywhere feels lively and jubilant, but the city also is very crowded. This past weekend, we visited Venice during the opening weekend of “La Festa Veneziana,” which featured a music and light show parade on the Rio di Cannaregio on the first night. (Unfortunately, we couldn’t access this event because the streets were insanely overcrowded, so we went to a wine bar instead.) But on Sunday, we stood outside our hotel and watched the Carnival Regatta along the Grand Canal which consisted of countless gondolas and assorted boats with people decked out in splendid costumes. I couldn’t resist sharing many of the regatta photos I took, so I hope you don’t mind. 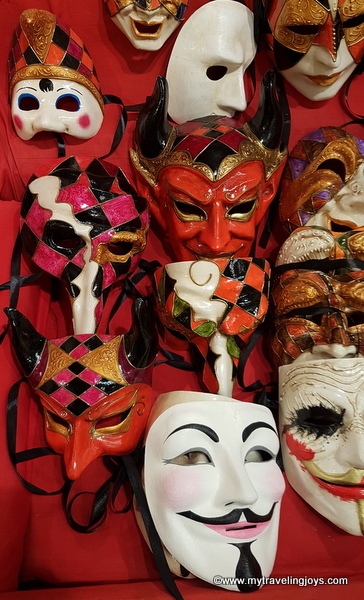 The theme of this year’s Carnevale di Venezia is “Playing,” and the carnival festivities run until February 13th. That means you still have several days to enjoy the carnival parties in Venice, or you can start planning your trip for 2019. Gondolas with people decorated as pirates or animals seemed to be two of the most common themes. It was quite odd to see a cow and a zebra rowing a gondola! I was surprised to learn that the history of Carnivale in Venice and the use of decorated masks dates back many centuries. In fact, carnival became an official public festivity in 1296, with an act of the Senate of the Republic of Venice, but its origins are even older. In official documents dating to 1094, they state there were already public celebrations held in the days preceding Lent. For several hundred years, in the weeks leading up to Lent, people wore masks and costumes, making it easier to hide the wearer's identity and social status, or even to make fun of the aristocracy. The festivities also included public shows with musicians, dancers and jugglers throughout the city. During the 18th century, carnival became internationally famous and reached its widest fame. You’ve probably heard of the writer Casanova, right? Well, it was during this period that Casanova spent his life in Venice attending wild parties and having love affairs. Then, the fun ended. At the end of the century, first with the French conquest of the Republic under Napoleon (1797) and later the Austrian Empire occupation, the tradition of wearing masks was forbidden and was even illegal. Surprisingly, the ancient traditions finally were restored 1979 when the city officially organized a Carnival program and that is what we see today. This past weekend, many locals and tourists alike, dressed in extravagant costumes, walked around the main areas of Venice and happily stopped to pose for photos. I was impressed! We even joined the Carnival fun and bought two handmade masks at Ca ‘Macana, an atelier started by penniless students back in 1984. 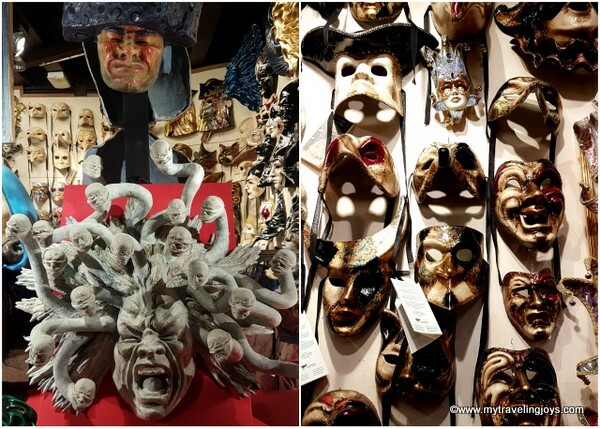 This small shop, bursting to the brim with papier- mâché masks, gained fame when it produced the masks for the movie “Eyes Wide Shut” directed by Stanley Kubrick in 1999. You’ll find several ateliers in the artsy-studenty Dorsoduro neighborhood (which also contains several fun wine bars). Expect to pay at least 30 euros to more than 100 euros for an ornate handmade mask. However, you can find inexpensive plastic and fabric eye masks for only 3 euros at many tourist stands in the city center. How about some kisses from Venice? Here, I am wearing a cat mask along the Grand Canal. While the regatta rowed by, I tried to snap photos as fast as I could in the sports mode setting. Even if a few photos are out of focus, I think you can still admire how elaborate some of the costumes were. We may have missed the main Carnival festivities in Venice, but we still had a wonderful time. 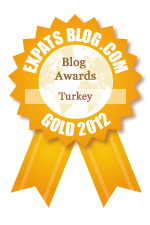 Have you attended Carnival in Venice or someplace else? haha...don't look now...one of the scariest movies ever! i've only been to mardi gras. this looks like so much fun!